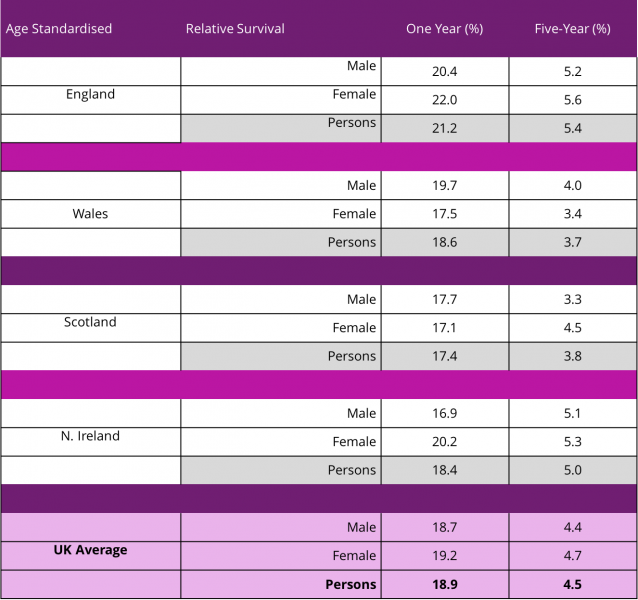 The pancreatic cancer prognosis and survival rates in the table below reflect that pancreatic cancer prognosis is poor and are attributable to the fact that pancreatic cancer is often diagnosed at a late stage where the cancer has progressed to a point where surgical removal is impossible. This is why we at Pancreatic Cancer Action are campaigning for earlier diagnosis of pancreatic cancer and developing educational and awareness programmes for the public and medical communities so more people can be diagnosed in time for surgery – currently the only potential for a cure. Relative survival is an estimate of the observed survival divided by the expected probability of survival in the general population. 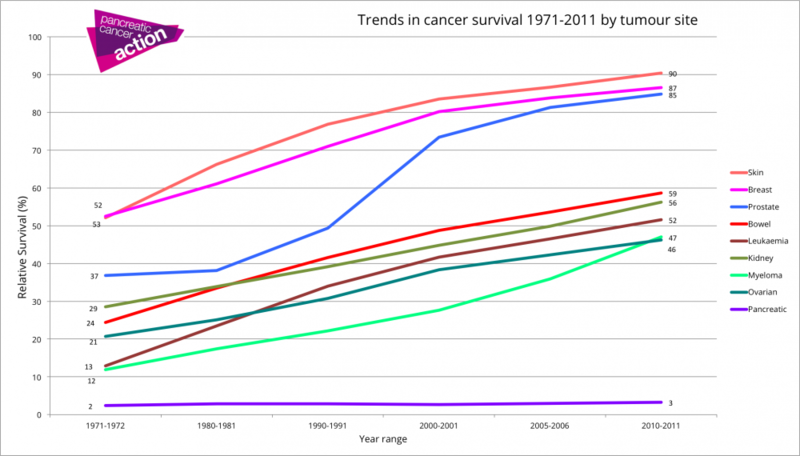 This can be thought of as a measure of the net survival expectation after contracting cancer, or the probability of survival from cancer in the absence of other causes of death. 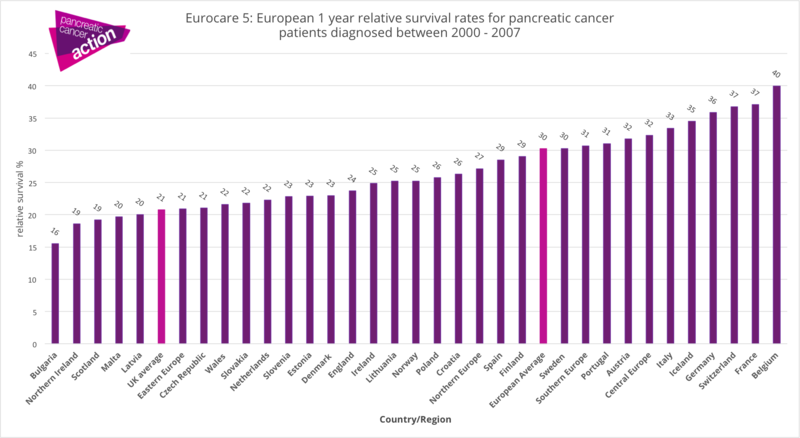 The UK has some of the lowest one-year survival rates in Europe, with the UK average half that of the best performing countries, including France and Belgium. Low one-year survival is a proxy for later stage disease at diagnosis. 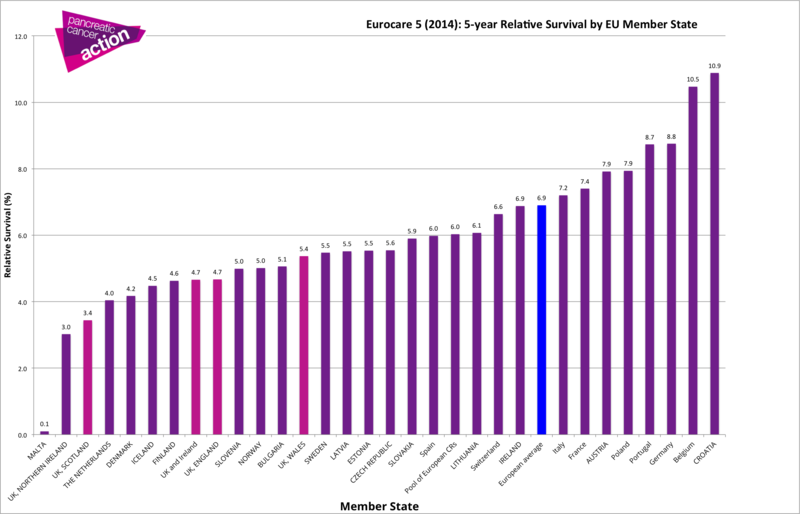 Five year survival in the UK countries is nearly half that of our European neighbours.